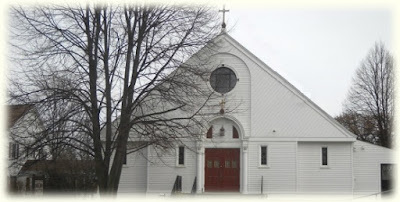 Saint John Vianney Parish is a Catholic parish, in the Diocese of Burlington, serving South Burlington, Vermont. Our pastor is Rev. Patrick Forman. Fr. Pat was ordained to the priesthood on June 3, 1989. He has served at St. Joseph Parish in Burlington, St. Monica Parish in Barre, St. Michael Parish in Brattleboro, St Paul Parish in Barton Corpus Christi Parish in St Johnsbury. Fr Pat has been the state chaplain for the Catholic Daughters of America since 1992. Fr Pat was born in Burlington so serving at St John Vianney Parish is a wonderful opportunity. Being back in Chittenden County gives him a chance to renew old friendships and make new ones.